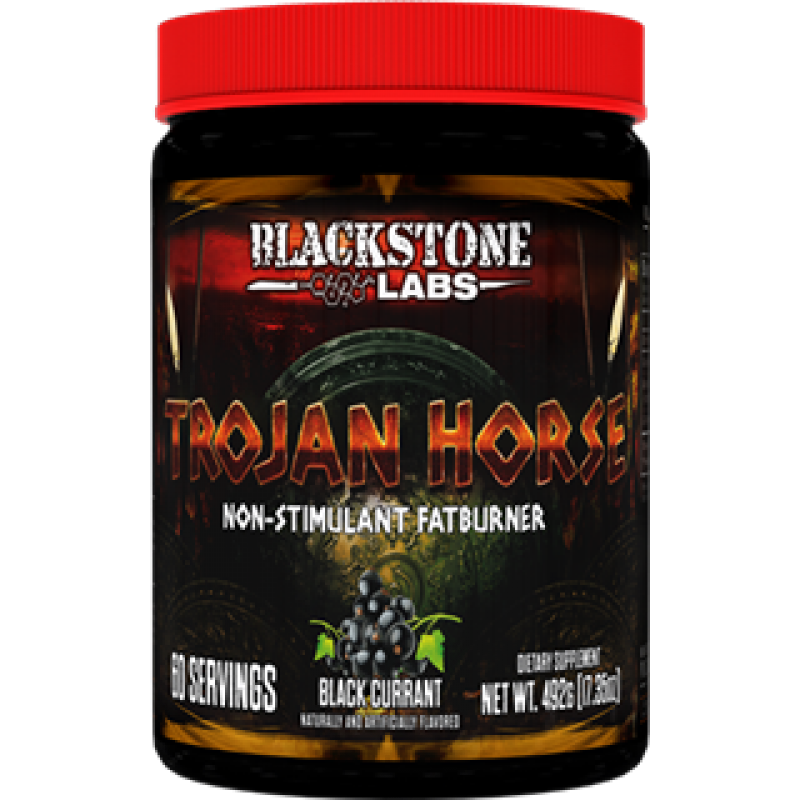 Blackstone Labs Trojan Horse is a powerful non-stimulant fat burning supplement, that can be stacked with any pre-workout or fat burning supplement to make the effects even more powerful. This product has been designed to increase your bodies ability to use fat as an energy source without the use of caffeine of other stimulants that could have certain effects on your body. One negative side effect of stimulants is the increase in anxiety which can be an issue for some people and also raise cortisol levels. 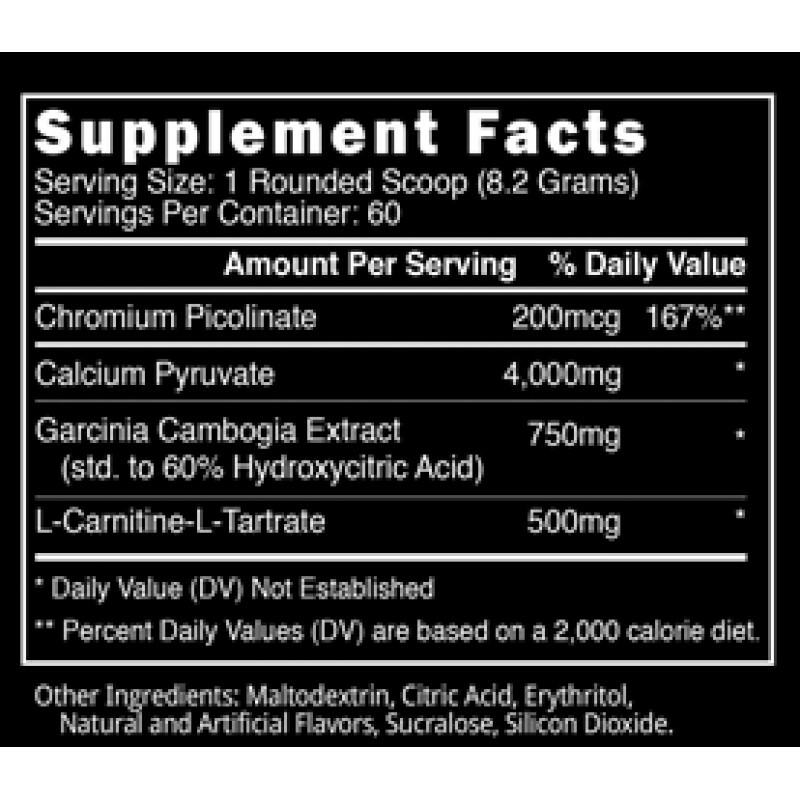 Chromium Picolinate 200mg: An essential mineral chromium is excellent for improving the bodies ability to handle carbohydrates and maintain more stable blood glucose levels. This is highly advantages for fat loss and provides an optimal environment for burning body fat as an energy source. It also improves blood glucose levels after meals to keep you fuller for longer and reduce cravings. Calcium Pyruvate 3000mg: This transports amino acids and glucose into the muscle cells to use used for energy.It also increases the amount of ATP (energy) available to the mitochondria for more effective fat burning. Calcium pyruvate also has the added benefit of preventing weight gain and improving nutrient partitioning. 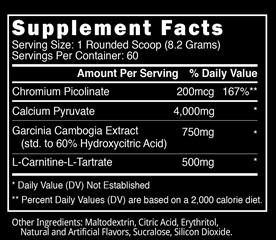 Garcinia Cambogia Extract (std. to 60% HCA) 750mg: This is a very popular and effective fat loss ingredient with a number of benefits. 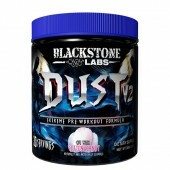 Garcinia blocks the production of citrate lyase making it very difficult for the body to product body fat. It also elevates serotonin levels which can increase satiety and reduce cravings. 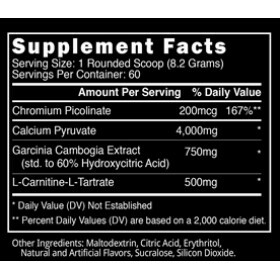 L-Carnitine L-Tartrate 500mg: Carnitine plays an important role in transporting fatty acids into the mitochondria where fatty acids are then used an an energy source. Carnitine also plays a role in muscle recovery. Studies showed reduced markers of muscle such as free radicals as well as less damage and muscle soreness. Trojan Horse also contains zero stimulants, mean it won't create any anxiety or keep you awake late at night. This stimulant free nature also makes it very versatile for stacking and taking multiple times throughout the day with your favourite products. How do I take Trojan Horse? 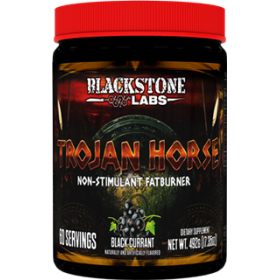 For best results take 1 serve of Blackstone Labs Trojan Horse mixed in 300-400ml water first thing on an empty stomach. This should also be repeated before going to bed of an evening to help burn more body fat while you sleep.